A battery-powered passive infrared (PIR) sensor, the GESM-AC limits use of air conditioning to times when it’s necessary – and switches it off when it’s not, based on occupancy. CP Electronics are winners in the ‘Air Conditioning Product of the Year - Accessories & Peripherals’ category, and its detector is designed to help bring energy consumption from air conditioning units down. 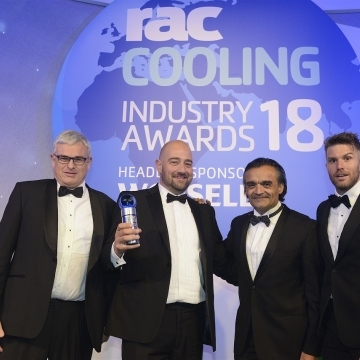 The results of the RAC Cooling Industry Awards were revealed on 26th September at the esteemed London Hilton, Park Lane, London, attended by over 600 of the refrigeration and air conditioning industry elite. 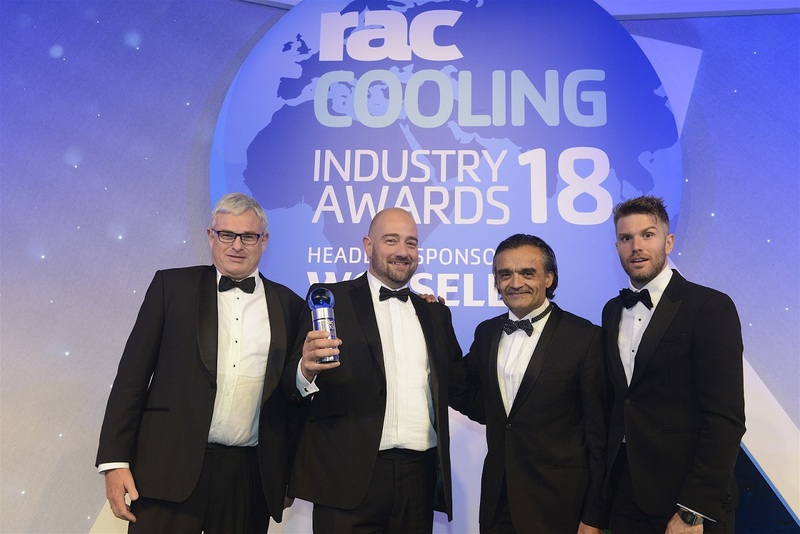 On CP Electronics’ win and the detector, the RAC Cooling Awards Judging Panel 2018 said, “A simple and practical device to install in rooms with infrared remote-controlled single AC units. The environmental benefits were obvious in saving on energy in cooling unoccupied space. As well as being environmentally friendly, one of GESM-AC’s biggest benefits is its versatility. The GESM-AC can be hardwired via USB, meaning developers can specify the unit to build energy efficiency into the framework and infrastructure of their buildings. On the other hand, the unit can be surface mounted and battery-powered, with handheld operation. This makes it ideal as a retrofit solution, enabling developers and owners to enhance the energy efficiency of their own legacy air conditioning systems. Mike Brooks, Marketing Manager of CP Electronics said, “Air conditioning is increasingly being demanded from our buildings for the wellbeing of people. However, it can be left on 24/7, through absent mindedness or out of necessity. Quite simply, this isn’t needed if there aren’t people in the space to benefit from the air conditioning.